The AP3916 delivers Wi-Fi services and video surveillance through a high-performance platform, reducing installation, cabling and power plant costs. Built to complement existing surveillance solutions, the AP3916 reduces costs by providing Wi-Fi connectivity and video surveillance through a single Ethernet uplink. This feature rich 802.11ac Wave 2 and 802.11abgn indoor access point delivers enterprise-grade performance and security services for K-12, universities, hospitals, clinics, government buildings and enterprise campuses. Although simple to install, the AP3916 offers a range of connectivity options including 2.4G and 5G Wi-Fi, as well as an integrated BLE/802.15.4 radio (support for Thread and other higher level protocols) for extended connectivity to Internet of Things (IoT) sensors and devices. The built-in video camera provides a wide view angle of the service area and includes infrared visibility as well as a one-way microphone to capture images and sound for security or monitoring services. 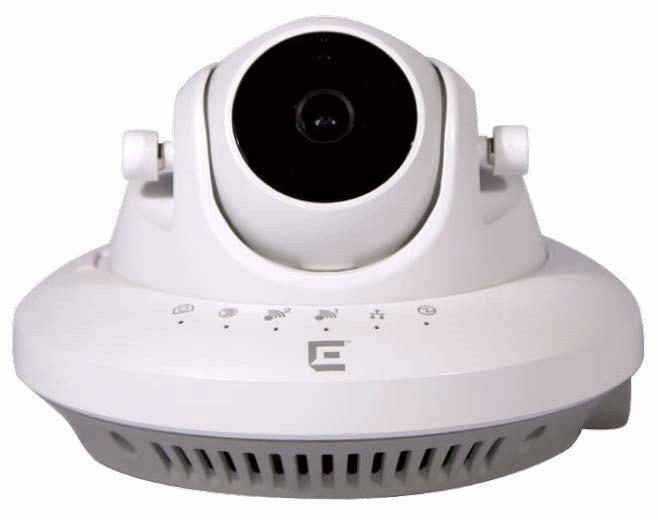 The two mega pixel video feed can be forwarded to any Open Network Video Interface Forum (ONVIF) compliant Digital Video Recorder (DVR) for viewing and archival.